I've been reading a lot of books this year, which includes several storytelling style recipe books. But, here's a curated list of cooking favourites. This is a continuation from my 2016 Foodie Books list that I've put together for fellow gastronomes, and more! Let me know if you're read any of these. Cook Korean! blends comics and cuisine together like a marriage destined for greatness. 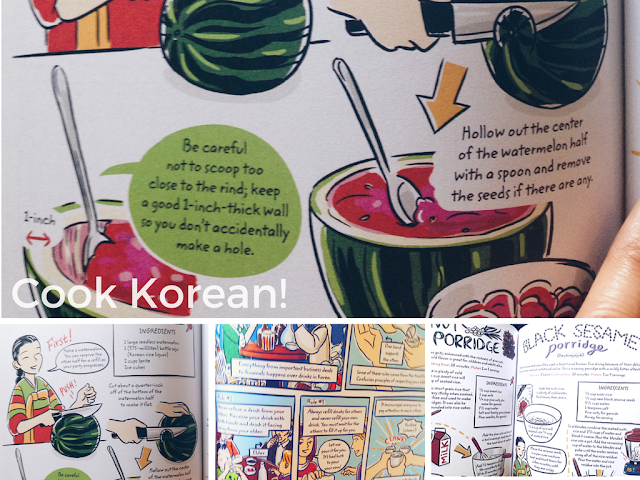 You will love this book if you like Asian food, comics, or if you're interested in learning about Korean cuisine whether you're a novice or a frequent digester of Korean food. It's the perfect book to choose dishes to make for Sunday dinner, which was usually a deluge of food selections at our house when I was growing up. The book is made up of playful and easy-to-read recipes, such as Bean Sprout Salad, Korean Burgers, and the Seaweed Rice Roll, amongst others. As a whole, this cookery book is part innovative charm, part food-driven storytelling, and the rest is a visual feast for the (artsy) eyes. The only con was that for some recipes you really need to re-read them more than usual, as it's easy to get caught up in the comic-style layout (in a good way) that you might skip part of the details if you aren't careful. But, again, I really liked it overall. 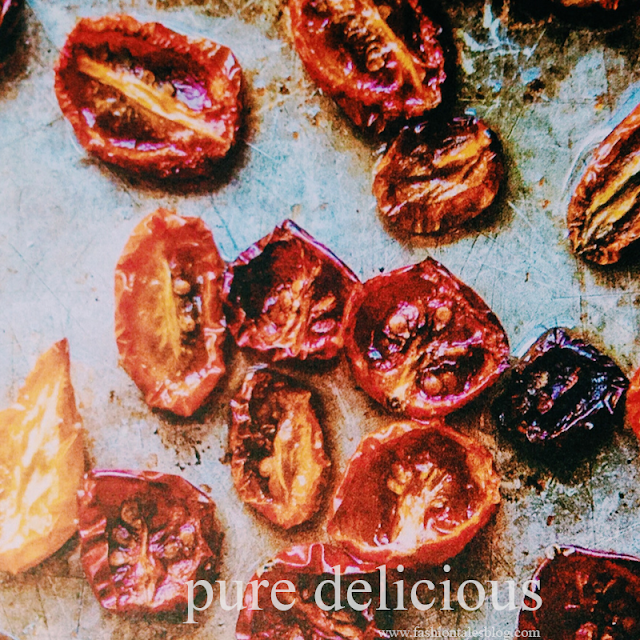 Favourite Bits: Being a kimchi lover, and growing up eating loads of fermented foods in general, I absolutely enjoyed the variety of kimchi recipes that Ha shares. Judging by the suggested "key ingredients" list it looks like my refrigerator was already seventy-five percent "Korean." Next on the menu is to try the Kimchi Buchimagae (pancakes). I also enjoyed the regional breakdown of certain foods. You'll refine your cooking skills in Korean cuisine simply with this book, or at least come close to mastering it. No newbie to entertaining myself, I found this book fun to read. The book is very "pretty" in a nutshell. And, with such a pretty styled book in front of me, I found myself nodding along with most recipes. It was either because they were familiar to me personally, or because it reminded me of foods that I'd seen my mum prepare for clients and catering events as a child. 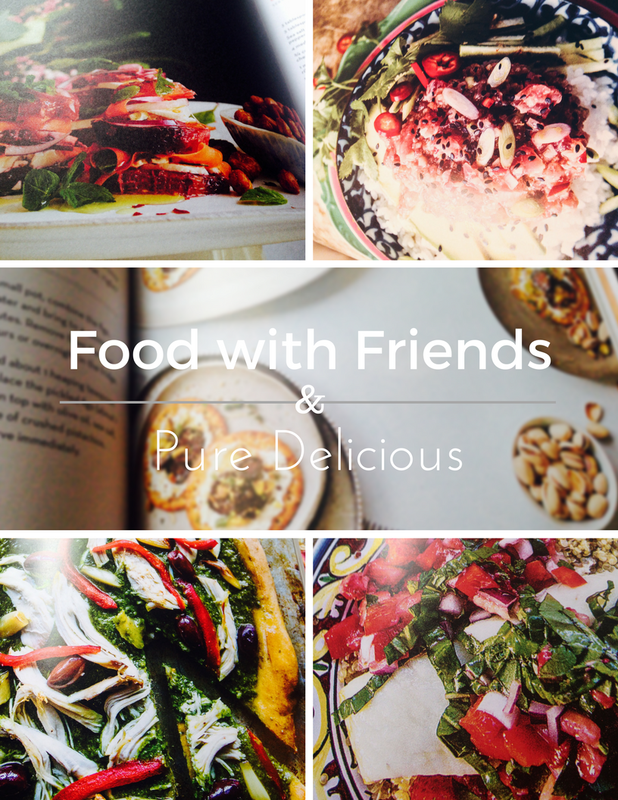 Favourite Bits: This book is for the foodie who wants to entertain or loves to cook dishes that are meant to be shared. Get this book if you want to learn new global recipes that are likely inspired by some of your friend's favourites back home. I am particularly fond of Cyd's homemade Cotija, Apricot, & Rosemary Crisps (crostini), and Socca Cakes with Labneh and Fennel recipe. Give me a beautifully dressed crostino (and anything with rosemary) any day! Fortunately, I only have two major food allergies with one moderate allergy, and neither of them involve tree nuts or shellfish. Thank goodness, because I have a fervent love of almonds and cashews way too much! To be honest, I was satisfied with reading many of the recipes in this book and have cooked several so far. If you're used to a lot of flavour, then you will likely need salt and pepper added to some recipes. However, I feel that goes without saying. Food Allergies? No problem. Here's an entire cookery book dedicated to serving a buffet of tasty concoctions for pretty much every dietary restriction. One-hundred fifty allergen-free recipes, to be exact and without you having to sacrifice those much needed proteins. This is essentially a modernised version of comfort foods for people with food allergies. It's a wonderful addition to my cookery collection since we have several friends who are gluten-intolerant and vegan. I usually make a couple of extra dishes at our brunches and dinners when certain people with food restrictions are in attendance. Favourite Bits: Versatility. There's options for carnivores, veggie-lovers, and vegan-friendly foodies. Every recipe also is free from cane sugar, which I appreciated. What type of foodie are you? 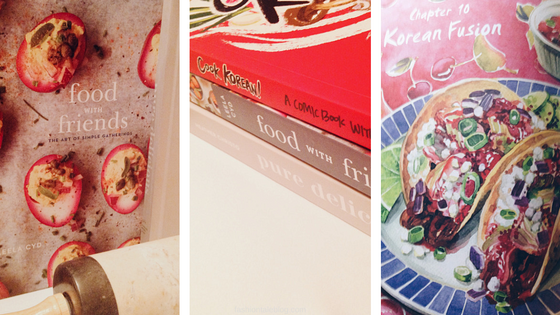 Do you know a foodie who needs any of these books? The goods: I was given early copies of these books via the publisher for an honest review. All opinions are my own. Oh my gosh! I have perused Cook Korean and loved it, but ended up not buying it coz the kids are not too experimental when it comes to eating. I think I'll buy it anyway since I love anything Korean:D Will also check out the others. Thanks for the reviews, Madison! I would go for number 3 as I've been developing some allergies lately.